The view should give you a clue, foo. Kara and I went to Ridge Vineyards Monte Bello (2600 feet above Cupertino) for the 2011 Monte Bello Final Assemblage Event. This is the last chance to get a barrel sample of the 2011 juice before it’s bottled up. So let’s quit with the yappin’, and get our taste on. At check-in we got ourselves a splash of the Ridge 2010 Estate Chardonnay. It was tasty as ever. 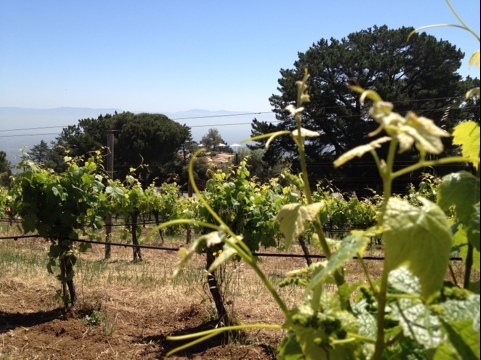 I was very stoked to find out that before we got to taste those iconic Bordeaux blends, we would be given a vertical of Monte Bello Chardonnays. Check it! 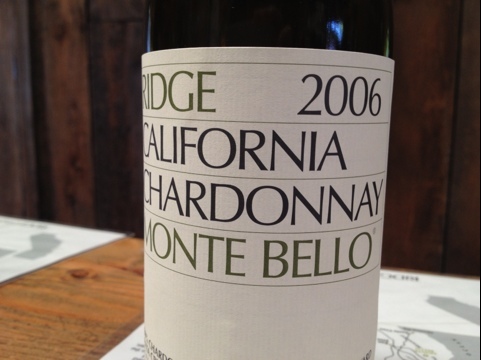 Ridge 2007 Monte Bello Chardonnay: Loaded with creamy green apple and pear notes. 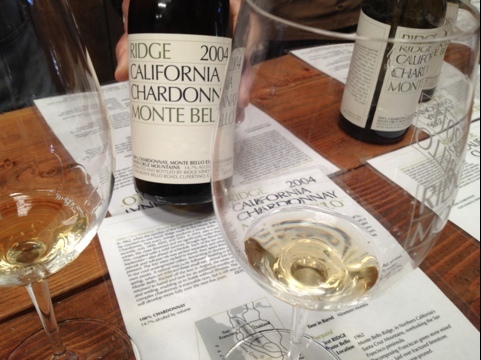 Ridge 2006 Monte Bello Chardonnay: More gold in color than the 07. More creamy notes. More spice. More, please! 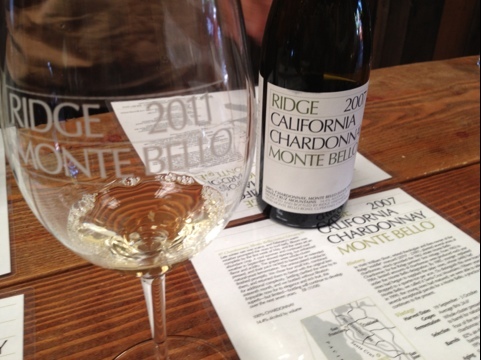 Ridge 2004 Monte Bello Chardonnay: These Chardonnays are fantastic when young, but age also treats these wines well. The creaminess of the 04 gives way to a nice acidity. This Chardonnay is rocking green apple for days. 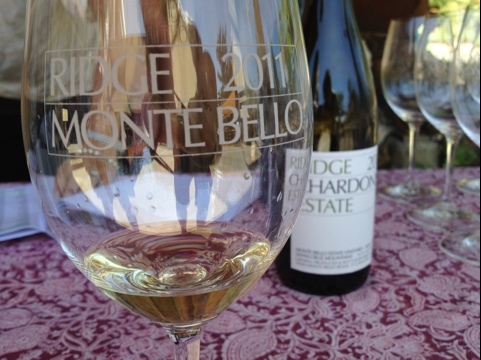 Ridge 2011 Monte Bello (Final Assemblage Barrel Sample): Our final taste of the 2011 Monte Bello was poured by the legend, Paul Draper (Winemaker at Ridge since the 60’s). I asked him if there were any additions to the wine for the final assemblage. He told me that this was one of the rare occasions where there were barely any additions. There is a touch more Cabernet Sauvignon (bumped up from 87 to 88%), but that’s it. As in my past sampling notes, there’s a great toffee coffee nose and taste to this, along with blackberries, plums, and a dope acidity. 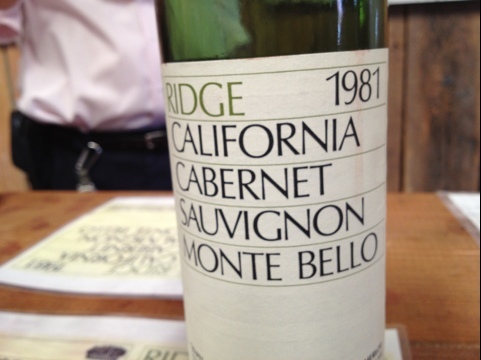 Ridge 1981 Monte Bello: There’s something magical about drinking a wine that is 31 years old. There’s something crazy about a wine that was made when I was three. Bricking ruby-red in color, with hints of copper at the rim. Nose of tobacco, clove, orange, and raspberry. Taste of tobacco, tomato skin, leather, and raspberry. Tannins are still powdery smooth. This wine is in the sweet spot right now! 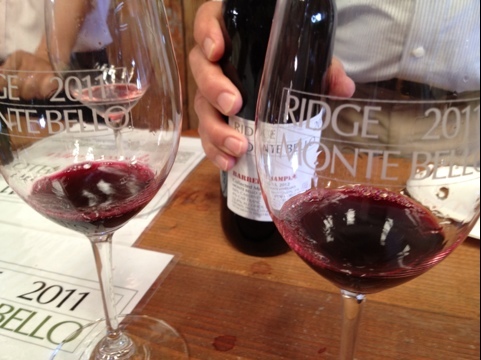 Ridge 2006 Monte Bello: It’s like blueberry pie. The goods! 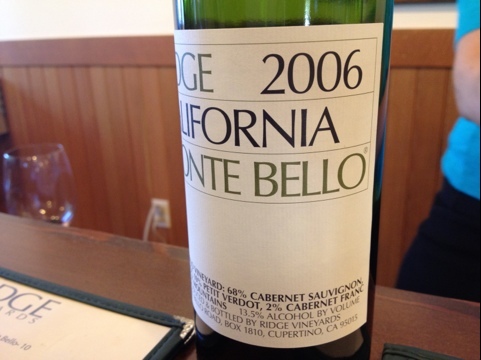 Ridge 1994 Monte Bello: My older sister graduated from San Lorenzo Valley High School in Felton, California with a GPA well above 4.0. She was valedictorian of her class. 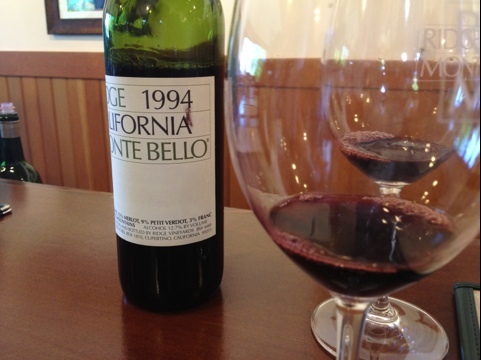 This Monte Bello is loaded with raspberry and blackberry fruit. There’s some good notes of tobacco and leather. Great balance of acid. Much like my sister, this wine is a overacheiver from the Santa Cruz Mountains. Why are you so good to me? This entry was posted on May 19, 2012 at 9:45 pm and is filed under Uncategorized. You can follow any responses to this entry through the RSS 2.0 feed. You can leave a response, or trackback from your own site. This is the first year in quite some time we weren’t able to go to the final assemblage tasting, and I am sad. It was a great event, but Ridge ALWAYS brings it. You are, most certainly, welcome.